Finally after more than a year waiting, the DVD’s production of the show in Madison Square Garden in 2010 (New York, USA) is confirmed by its director Matthew Amos. Amos enabled a few hours ago in his Vimeo channel the above footage, shot in professional quality, of Rammstein performing Waidmanns Heil. Additionally, the director’s official webiste also lists his Curriculum Vitae with information about the DVD production in the year 2011. Matthew Amos has also collaborated with other famous artists such as Red Hot Chili Peppers, Kasabian, Iron Maiden and Pet Shop Boys. UPDATE: Director of Photography and Camera Operator Jimmy O’Donnell also confirms the same information in his multi-camera television credits. Also according to this source, the DVD is being produced by the Done & Dusted company. Many thanks to Rammstein-Mexico for the discovery of these sources. “WARNING – A** holes are closer than they appear” ! Well, Rammstein tend to release their live performances after their final tour which is over. And surprisingly this live material just popped out after a few days of their last concert. I think it will be released relatively soon. I guess you care NO 1 RF, or you would not comment on Mark’s post at all. Blue Ray here in the US is only 5.00 more then then a DVD and it is much better sound and video. To each their own. I thought you were much younger. I cant wait for the Blue Ray and DVD, I will buy both as well. Hoping for a live MIG also. @NRAMMT, Thank you for the Facebook link. Their concert in Denver was awesome! I think you make my point very clear. Just like most videos nowadays, it’ll probably be released on both formats to satisfy everyone; I’ll be picking up a copy in both formats. Also, for everyone who has attended a Rammstein concert, or just straight-up loves Rammstein, there is a “Danke Schon, Rammstein” Facebook page that just got put up, it’s sorta like a “Thank You” card to Rammstein. So like it, and share a story or memory! look at 3D TV’s – They are pointless ! Modern technology isnt all ist cracked up to be and amazing. For example Ipads and iphones, what one we on now – number 4 or 5 ?? ?who cares??? why were the 1st lot soooo bad that another has to be made. Its endless suites (boring office men) making up silly ideas that no one REALLY needs! DVD as a format was crap when it was released. The whole compression/decompression issue that caused untold amounts of ‘artifacts’, (in English that’s corruption and distortion of audio and video), made it a constant source of annoyance for me. Bluray is uncompressed and can (can) provide a surperb audio and visual experience dependent on the source. Bluray is taking some time to catch on, but it should be remembered that DVD took many years to be accepted. If you’re happy to put up with a crappy outdated technology that’s fine, but please remember that not everyone is a Luddite living in the past and denying the existence of better formats. I would like to see a Bluray release that comes with DVD in the same package for those with the old wind up DVD machines sitting beside their 8 track cartridge players. Blu-Ray is sooo expensive tho – and thats why it hasnt totally taken over from the reliable and easy affordable DVD format……yet! wheres the video gone ???? hmmmmmmmm dodgey ! By “dead” I mean it’s quite old, you guys just fail to see my point, a lot of music materials these days arrive on Blu-Ray and not just only on DVD. what do you mean… i havent even heard of this blue-ray thing yet. good question. if dvd is dead, i dont know what could they release it on. since i dont even know what that thing is. does it also need some kind of player that noone ever has? Well, DVD is dead nothing to explain about this, we’re writing 2012. @E-SE – Blue-ray, yeah, sure, well everybody got Blue-ray at home, huh? If it’s come out in Blue-ray disc than you wiil buy that. But most of the ppl will buy it in DVD or download it. Yeah, got the point, then I’m expecting a combo release, anyway the Bercy show has been shot with HD cameras and I think that says something. And maybe either the Montreal show or the MSG won’t be the “primary” concert on the release. The video is from at least 3 shows. If you ever made a video(amateur), then probably u have an idea how these thigs work. @Fikaszimat- No, you don’t have to be 18. But it would be better! I was at 2 shows and behind me were kids (15-20), near by me were 30-45 yrs old ppl. I was in the 4th row both times. @RTamas – Blue-ray, yeah, sure, well everybody got Blue-ray at home, huh? If it’s come out in Blue-ray disc than you wiil buy that. But most of the ppl will buy it in DVD or download it. I hope you gave him brief explanation about the background of wiener blut or mein teil as well. I just wanted to point out, that its strange that i only see “kids” in the first row. I could certainly do without the behind-the-stage shots, and the all the goofy crowd shots. Just let me see the band as the audience would see them, please. Too many cuts. I’m hoping that they have some MIG stuff on the dvd. 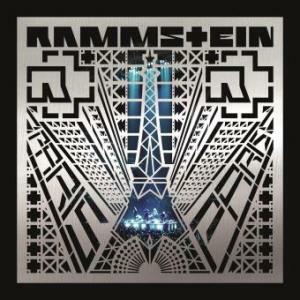 i am not to sure its a bit to polished for rammstein i think,i mean volkerball was shot gurillia style to some extent an it worked and this i don’t know. Well, I’m quite happy to hear this, finally a live material in the vision. The audio is really poor in this material but it’s surely because this is just a “demo version”. So I’m either expecting another release of the Bercy show at least in HD which leads me to believe a Blu-Ray version it will be or only one disk with both MIG and LIFAD materials on it. If you ask me I’d rather vote for the Blu-Ray version, since DVD is dead. When R+ filmed this, i was stoked. Can’t wait. This audio is mixed with the Montreal concert. SO PUMPED, been waiting since volkerball to see a new live DVD. However, Volkerball was AMAZING, so they have a high standered to beat here. This is from Montreal, not MSG. Guys, if you remember correctly, Ollie stated in an interview about a week after the MSG concert that both the NYC and the Montreal show were filmed. Almost all concert DVDs are filmed this way, they film 2-3 shows, just so they can make sure they get all the proper and quality shots/audio they need. They then feature one of the shows (in this case, the Madison Square Garden show), but use some of the clips/audio from both filming sessions, but using mostly the ones from the featured show. I was at the show, and it was amazing. It’s the most historic concert in the band’s history, and I’m beyond excited that it was filmed. Cannot wait for the release. I’m guessing it will be a LIFAD/MIG tour DVD, with the recent Rammstein concert that was filmed at Bercy a couple months ago. The video you are seeing is put together through footage from New York and Montreal shows from 2010. The audio might be from Montreal, and the image a mix from both. There might still be a DVD for the MIG tour. RammsteinWorld.com even reports that the plans for a MSG show were scrapped in favor of a DVD for Bercy. They don’t cite their sources, though. I can’t wait for the DVD! its different audio. ive noticed at 2:59 when he says “sie spürt die mündungsenergie”. …wait a minute. Is it just me or is this audio from another show? I was at this concert and I have several video’s of this song from it. at 2:16, Till never said “Ja”, and at 2:36 there’s no loud bang. Something’s off here. Best concert I’ve ever attended! I had no clue it was being filmed. I can’t wait! And yeah the audio is a little strange but I still love it. Weird sound, hope its only a demo..
Btw, dont you have to be 18+ to visit a Rammstein concert?